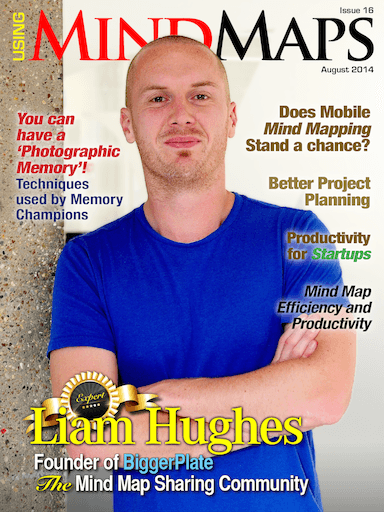 This month, we feature Liam Hughes, the founder of Biggerplate. Biggerplate is the Biggest Mind Map Sharing Community in the world and promotes the building of a Collaborative Mind Mapping Community. Q. Why did you start Biggerplate? What was your long term vision when you started? 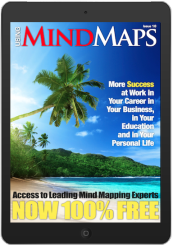 Get Free Access to the Best Mind Mapping Tips, Tools, Techniques Resources and Opinions. I wanted to continue my exploration of the most important basic mind mapping software commands with the Sort command. 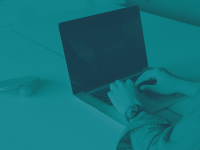 Although it doesn’t sound particularly dramatic, depending on the software you’re using, Sorting can become one of your most often used tools. Mind mapping seems to follow most IT trends that appeared in the last decade. This goes for the “mobile” trend as well, with many mind mapping companies releasing software for mobile smartphones as well as for tablets. But as, much as we love following the trends and expanding the platforms where mind mapping can bring its advantages on there are certainly some limitations in creating mind maps on your mobile phone. In mid 1930s, a young boy Swedish called Ingvar Kamprad started his own business by buying matches in stock from Stockholm and selling at good price. He expanded his business to include fish, seeds, christmas trees decoration and pencils. Kamprad was born in the south of Sweden in 1926 and raised on a farm called Elmtaryd, near the small village of Agunnaryd. Most of us have activities that we do on a regular basis – meetings, plans, reports and more – where we need to quickly organize, distill and utilize information in a productive way. Why not speed these repetitive tasks by creating mind map templates to “automate” their production and improve your productivity? Using Mind Map Memory Maps to improve your memory can take your memory to the levels only achieved by geniuses until now. You may even develop a photographic memory. There are many Mind Mappers out there that claim to have developed photographic memories with Mind Map Memory Maps. Unfortunately, I have not been so lucky. Yet, I sell the concept of how to improve your memory with Mind Maps and Mind Mapping! Open a blank mind map in MindMeister and write your idea in the root topic. Add 3 to 6 first-level topics with significant keywords. Explore the details of your idea by adding child topics. Let your thoughts flow freely and don’t censor your ideas. Don’t interrupt your brainstorming until you’re satisfied with the result or have run out of ideas. 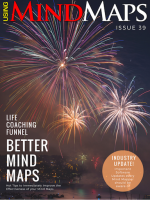 Get the latest Mind Mapping News and events in the Mind Mapping World. 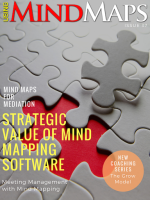 Get tips, tools and techniques from the world's leading Mind Mapping Experts. Do you have any news or events? Send them to us via our Contact Page. Stay in touch with the growing Worldwide Mind Mapping Community! Subscribe Now and Get 50% off the Cover Price and the Latest Issue Free!